Jarvis Products Corporation has announced it has received CE certification for its newly introduced type C and P Power Actuated Stunners (Model PAS). These are the only cylindrical and pistol type, cartridge loaded stunners having PTB issued certification currently in the marketplace. 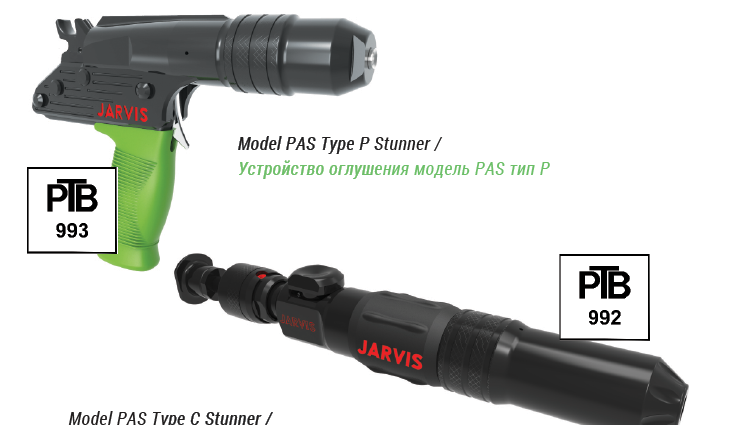 Jarvis’ Model PAS Types C and P stunners are available in both .22 and .25 calibers. Designed for operator comfort with one hand operation, Jarvis’ Type C stunners can be trigger fired by using either palm or fingers. Jarvis Type P stunners are comfortable to use with an ergonomically designed handle. Both stunners provide low cost, powerful stunning of bulls, cattle, hogs, sows, sheep or other types of livestock, with positive retraction of bolt after firing. 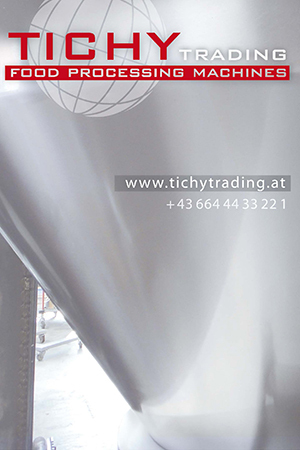 They offer users a humane process for quick, efficient, and high capacity stunning procedures. Their dependability and accuracy ensures animal welfare. A wide variety of .22 and .25 caliber cartridge choices are available for both types of stunners. Depending on specific applications, different cartridge power loads are also offered. Jarvis equipment is sold and serviced worldwide through 18 branch locations, and Jarvis’ J26 Exclusive Distributors. Previous Post: MEET THE WORLD MARKET LEADER!